Let’s chat a little bit about your day and how much time you spend on Facebook! All of us are in so many Facebook groups and as direct sellers, it is important to have a direct sales Facebook VIP Group of your own! Different from your Facebook Business Page, a Facebook VIP Group is your unique community of customers, hostesses, friends, and family. Many of us have a rockin’ start with our direct sales Facebook VIP Groups and slowly over time, we begin to notice a decrease in likes, lower numbers of comments, and generally just lower engagement overall. This is normal and what helps is to know the best ways to lift yourself up and get your Facebook VIP Groups rocking again! You may have done a contest or giveaway early on and the more friends and family added others into your group, the more entries they got to potentially win a prize. It is true, adding people to a Facebook Group is an easy and quick way to boost your member numbers, but in reality, you are doing 2 things. One is, potentially irritating those people being added to a group they did not have any interest in, in the first place. Two is, your Facebook Group looks HUGE numbers-wise, but the engagement of your members is super low. So stick with me and resolve to never add members to your groups going forward. Only invite others who would be interested in your group and encourage your members to do the same. Slow, organic growth is beneficial in the long run! Ug, what?! It’s ok to not quite understand what the heck purposeful content is! Once you see, your mind will be filled with new and creative ideas so let’s take a look at what I mean. When you communicate with your direct sales Facebook VIP Group members, most likely you are providing them with information about your direct sales products and things of that nature. But, let’s think about this. If you were to change things up a bit and provide some really useful, valuable information which relates to your direct sales product, think about the comments you will get from your members! Show your community how you ORGANIZE your products. This works for any direct sales company! Go outside the box and share a “behind the scenes” look at how you manage to store and keep track of all your (leggings, jewelry, cookware, makeup, essential oils, etc.) You get the idea! Share some ideas with your Facebook VIP Group on how to CARE for your products. Again, this can be used with any direct sales company. What is the best way to wash and dry clothes? How best can I keep makeup brushes clean and sanitized? I see light bulbs going off in your head now! Reveal UNIQUE & ALTERNATIVE ways your direct sales products can be worn, used, or displayed! Share photos and videos sharing out of the box ideas and your community will go nuts for more! Whenever you want to get your Facebook VIP Group hoppin’, post something that prompts your members to share a story, a photo, or just a funny meme. Just like I mentioned above, people love to voice their opinion and sometimes, the easiest way to achieve that is by creating a poll in your Facebook VIP Group. Ask your community which outfit you should wear at your next vendor event. Take a minute, think about it, what would you ask your members to decide on? 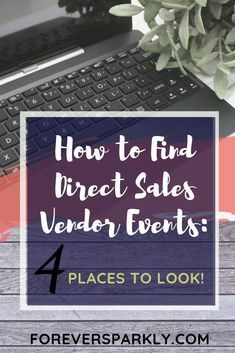 These do not have to be related to your physical direct sales product at all, but your community will love special events or things that enhance their customer experience. For example, maybe you have a Birthday Club where you send a little something to your members on their birthday? Or do a little game and the winner receives a one on one Zoom Call with you to help with styling or using your direct sales products. Again, think a little outside the box and your community will love it! Remember friends, slow growth is GOOD! It does not do any good to have a Facebook Group with over 3,000 members where each post gets a handful or likes or comments. And a bonus tip for you? Make sure you are leading new people into your Facebook VIP Group. Want to know HOW to do this? Click HERE To read 3 simple ways to grow your Facebook VIP Group. Follow-up is crucial to a successful home based business. Take this 7-day challenge if you have trouble creating your own follow-up system. Presented by Jen Fitzgerald of The Client Angel. Thank you, Vanda! You can always reach out to me as well at kristy@foreversparkly.com. See you on the IG feed! Hi Kristy, I found you on Instagram and I have just started my group. One of the first things I did was create my rules and tell people not to add others because I want to have an organic growth. I introduced my group to others by playing a little word game where they needed to hunt for letters and to get to the next, they could choose to opt in to my group. It was fun to do and I know the people are there because they chose to be there. Hi, Ami! You have some great ideas for your Facebook VIP Group! Fabulous! Love these tips! I have a love hate relationship with VIP groups. I love that my customers are in there but it’s not always easy to get the interaction. Can’t wait to try these content ideas. I don’t think you are alone with the love/hate relationship! I hope these tips help and be sure to read how to grow your Facebook group. You’ll learn how to set up funnels so there are new people organically joining your group each month!